* Low density and high density polyethylene, cast polyethylene. * Natural, coloured and printed according to customers' requirements. 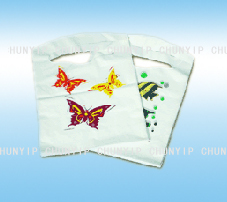 * Packed in dispenser bags, boxes, on roll, on block and individually folded in a pouch. * Widely applicable to food processing and nurseing homes.